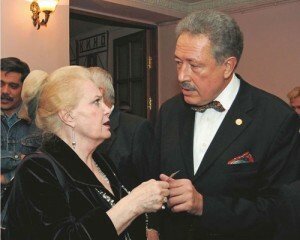 Academician and Presidium Member of The Russian Academy of Arts. Born on April 26, 1942 in Chelyabinsk. Graduated from the Faculty of Philology of the Moscow State University in 1965. People’s Artist of Russia, Honored Arts Worker of Russia, Honored Arts Worker of Ukraine, Honored Culture Worker of Russia. Irina Arkhipova Foundation Prize Laureate, Moscow State Prize Laureate, Polish Branch of the European Culture Society Award Laureate, Telegrand Prize Laureate, Ovation Award Laureate, Cyril and Methodius International Prize Laureate. Academy of Russian Television Member, Honored Member of Academician of Russian Academy of Beaux-Arts, Union of Writers Member, Union of Russian Journalists Member, Union of Theater Workers Member. Companion of the Order of Friendship, Officer’s Cross of the Order of Merit of the Republic of Poland, Order of Peter the Great (1st class), Order of the Saint Prince Daniel of Moscow (3rd class), Order of Saint Nicholas the Wonderworker (Ukraine), Honorary Golden Badge of People’s Recognition, Silver Cross of the Order of Maecenas, medals. Presidium Member of the State Prize Committee of the President of Russian Federation. Svyatoslav Belza is a famous specialist in literature and music, critic and television presenter. He wrote several hundred articles about culture and he is still in form. During last 25 years he doesn’t stay in Moscow longer than a month. He is quick off the mark and regular flights to Japan or America don’t frighten him. He is used to planes and hotels. Between meetings, concerts and shooting he always finds some time to write a foreword to books by Shakespeare, Wilde, Dumas, Kipling, Jules Verne or Stanislaw Lem. His family line runs back to the ancient times and the city of Belz mentioned in the Tale of Bygone Years. The Brockhaus Encyclopaedia also says about Duchy of Belz. The city was founded in Poland and later became a part of Ukraine. But Svyatoslav Belza was born in Chelyabinsk. Therefore he considers himself a son of Russian, Polish and Ukrainian people. And his merits are recognized in Russia, Poland and Ukraine as well. There are many renowned and gifted personalities among Svyatoslav Belza’s ancestors. His parents were special people. His father Igor was a famous Encyclopaedist, musician and professorable to lecture in French, Italian and German. His mother Zoya was a member of the Union of Composers and wrote intriguing books about great musicians. While his classmates played soccer in the backyard, Svyatoslav watched spectacles in the Bolshoi or listened to music in the Moscow Conservatory’s Great Hall with his parents. After graduating from the university he worked at the Gorky Institute of World Literature for 37 years. At the same time he was engaged in journalism and was the Literaturnaya Gazeta foreign culture reviewer during a decade. Then, due to Yuri Senkevitch, television became a big part of his life. 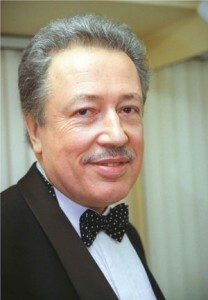 In 1988-1996 he created and hosted a popular TV programme Music on Air on Channel One. But Svyatoslav Belza is also a man of society. 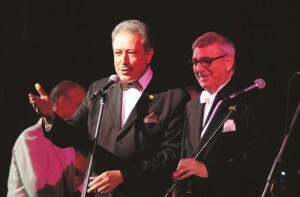 He is a member of English and Russian clubs for renowned people of art, business and politics. Svyatoslav Belza has met a lot of great personalities and many of them are his friends. He warmly recalls conversations with writer Graham Greene, tenor Luciano Pavarotti, ballet dancer Rudolph Nureyev, singers Irina Arkhipova, Izabella Yuryeva, Ivan Kozlovsky, jazzman George Garanian. Cameras are often merciless. They show the inner side of a man like an x-ray. As for Svyatoslav, he always looks as an erudite, a refined and strict intellectual. However, Svyatoslav Belza sometimes likes to laugh at himself or even play the rogue. He is proud of his native Chelyabinsk. Ural brought a lot of talents into this world: sculptor Ernst Neizvestny, chess player Anatoly Karpov, singer Alexander Gradsky, bard Oleg Mityaev, jazzmen Anatoly Kroll. cosmonaut Konstantin Feoktistov. Thankful people of Chelyabinsk awarded Svyatoslav the Bright Past Prize — a bronze centaur on a stand made of Uralian stone. It was established for Ural citizens that achieved great success.